Companies need to raise finance, to improve cash flow or purchase goods and equipment, to grow and compete. Traditionally banks provided this finance, with loans and overdrafts. Its clear that the market place for Business Loans and Bank Overdrafts has changed so it is important to look at the alternatives. Flexible funding for your business is available in the form of Invoice Finance. 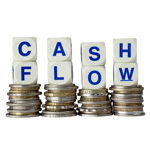 Invoice Finance treats your invoices to customers as ‘assets’ and allows you to draw-down funds against them. Just Factoring continuously review Invoice Finance products, lenders and their services to identify the range available, typical lending criteria and their preferred customers in terms of size and industry. This means that we can introduce you to the relevant lenders quickly and easily. Below is a quick overview of the funding options available to you. If you want to know more than please calls us and we will be happy to help. 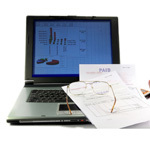 Raising finance against the value of goods or services invoiced. The factoring company will undertake responsibility for the recovery of monies and deal directly with your customers. Up to 90% of each invoice paid immediatley with balance to follow on recovery of debt. Charges for funds (from 0.5% – 5% above baserate) and service (from 0.5% – 3% of turnover). These do vary from business to business. Addional services and protection are available. Set up time can be as quick as 7 days. Usually a confidential facility with up to 90% finance available against outstanding eligible invoices. You undertake responsibility for the recovery of monies and deal directly with your customers as normal. Up to 90% of invoice values available on the same day. Growing alternative to bank overdraft facilities, loans or giving away equity. Where you need to maintain customer contact and have good credit control procedures already in place. A facility that takes into consideration all of your business assets. The lender offers a Factoring or Invoice Discounting facility with other assets incorporated to enhance the total funding raised. Factoring plus advance against stock, plant & equipment. Invoice discounting plus refinance of property. Transactional facility enabling purchase of finished goods (typically from overseas) where there is a confirmed order from a UK buyer. 100% of the value of goods paid plus freight and other costs. Often used to import where seller requires payment before goods are released. Lenders can often provide vital administrative services including translation and legal. Asset Finance and Asset Refinancing enables your business to either purchase capital equipement such as computers, plant and machinery or release money by refinancing assets you already own. Refinancing of equipment (between 40%-65% of asset value). Purchase of new capital equipment advancing 80% – 100% of purchase price. Funding available within 48 hours of valuation. A specialist product for any business with an element of export sales. Some Factoring companies have the skills and knowledge of overseas markets and payment cultures to lend against invoices raised and collect payment. This can remove a lot of risk when selling overseas. Ablility to invoice in buyers currency.